This is a Sleeping Beauty waiting for the kiss of her Prince Charming, so she can wake up from her magical slumber. 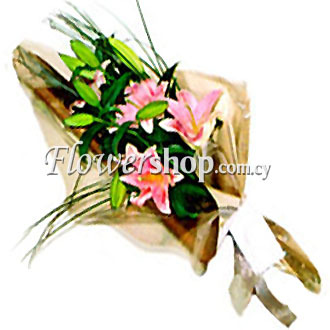 Just feast your eyes on the lilies in this enthralling bouquet. By purchasing this bouquet for your loved ones, or even for yourself, you will be able to feel the breathing of the Sleeping Beauty, and you will receive a big smile. 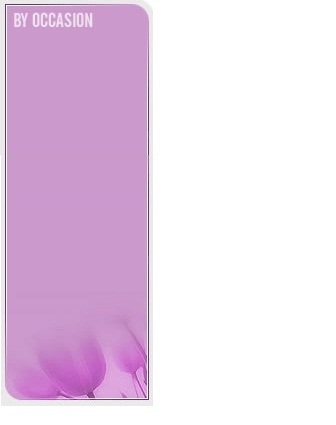 3 pink coloured lilies, decorative, natural green matter.